Over the past year I have been into researching my family history. It’s been interesting to learn about their occupations. (On my Papa B’s side there were a lot of stone masons). I have also been finding out about the different nationalities I descend from. I have found that I’m mainly of English, Swedish, and Danish descent. My mom is a redhead so I still have hopes of finding Irish in there somewhere so I can have some legitimacy to celebrating St. Patrick’s day. Until then, I still like to have things such as soda bread, colcannon, and any dessert that has a green hue to it on March 17th. In a large bowl whisk together all but the last two ingredients. Mix in the coconut oil with your hands until it resembles coarse sand. Create a well in the center of the flour and pour the milk in the center. 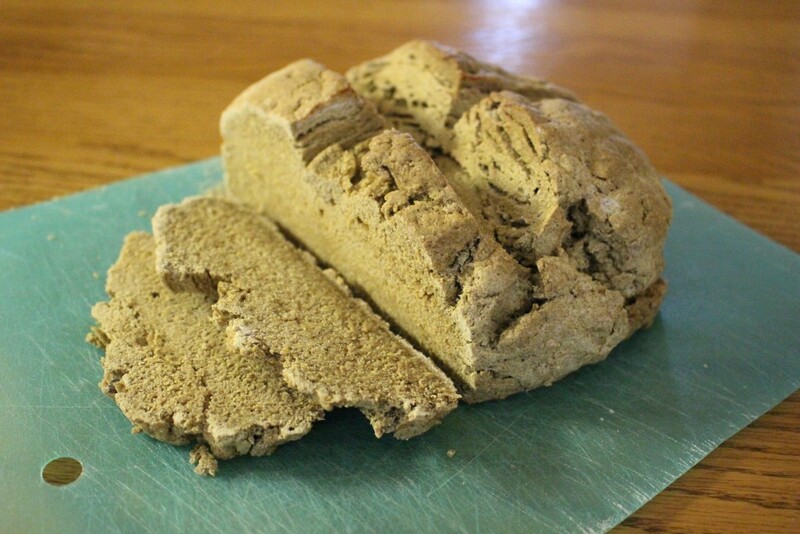 Mix with a fork until just starting combine, then turn out on the counter and knead it until it just comes together. 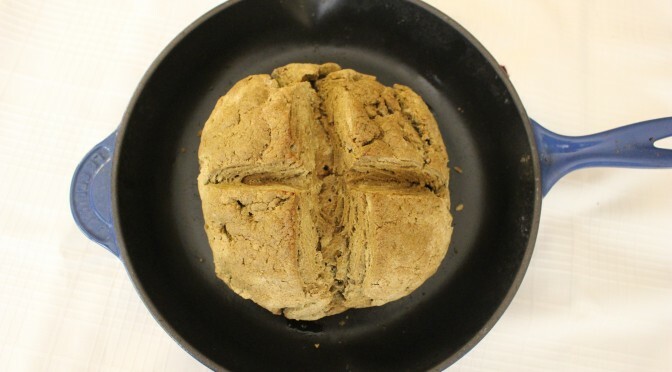 Form dough into a round 6-7 inches in diameter; place on a greased cast iron pan and cut a cross shape into the top (to let the devil out, of course!). Cook 40-45 minutes, until a toothpick comes out clean. Cool for 30 minutes before slicing. I remember reading that the red hair of Ireland actually comes from the Viking raiders of Norway and that the Irish had predominantly black hair. I guess I’m covered there as well as my dad once had black hair (it’s more white now haha).